A crisp, cold beer or a refreshing margarita - why do you have to choose? You can have both by combining the two into a delicious beer margarita with a one-of-a-kind Margaritaville taste that's the ultimate way to escape to paradise. A beer margarita has a unique flavor that's slightly sweet from the tequila and slightly tangy from the lime while boasting extra depth from the addition of beer. To make a beer margarita that will transport you to a tropical paradise, choose LandShark, Margaritaville's island-style lager that's guaranteed to help you make your sun-soaked escape any time you want to get away. Add ice to the reservoir and all ingredients to your Margaritaville® Jimmy Buffett Anniversary Edition Key West™ Frozen Concoction Maker®. Select the setting for three drinks and flip up the Shave & Blend switch to Shave and Blend. 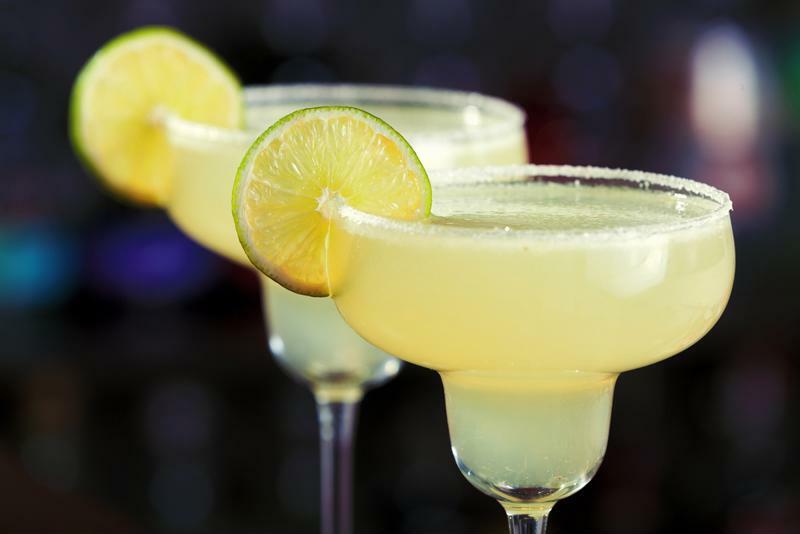 Once mixed, pour into margarita glasses with salt rims and garnish with lime wedges. Combine LandShark beer and a margarita for a delicious frozen concoction. Once you've got the basic beer margarita down, you can let loose and experiment with fun flavor variations take the frozen concoction to the next level in paradise. Add ice to the reservoir and all ingredients to your Margaritaville® Jimmy Buffett Anniversary Edition Key West™ Frozen Concoction Maker®. Select the setting for three drinks and flip up the Shave & Blend switch. Once mixed, pour into margarita glasses with brown sugar rims and garnish with orange slices. Add ice to the reservoir and all ingredients to your Margaritaville® Jimmy Buffett Anniversary Edition Key West™ Frozen Concoction Maker®. Select the setting for three drinks and flip up the Shave & Blend switch. Once mixed, pour into margarita glasses with sugar rims and garnish with mango cubes. Mastered the art of the beer margarita? Treat your taste buds in a whole new way with beer slushies. These frozen concoctions are a fun way to add a whole new flavor dimension to your island escape, and are the perfect way to cool off, any time of year. Try this icy and refreshing recipe below. You can embellish the flavor by adding in fruit juices, liqueurs, syrups and even fresh herbs like mint whenever the inspiration strikes. "Make mine a cold one" just got a whole new meaning! Add ice to the reservoir and all ingredients to your Margaritaville® Jimmy Buffett Anniversary Edition Key West™ Frozen Concoction Maker®. Select the setting for three drinks and flip up the Shave & Blend switch. Once mixed, pour into pint glasses and garnish with lemon wedges.